Organizing your makeup is no easy feat, especially if each season brings a new set of makeup must-haves. So are you wondering as to how you can possibly rule over your dresser filled with old and new beauty products? Try out these six creative tricks to keep your dresser organized and give yourself some extra prep time. Get a Vanity Tray. One good way to organize your beauty products is to place your everyday beauty items on a separate vanity tray, and store the less used items in your cabinet and drawer. If you want, you can also add some decors or designs on your vanity tray to give a more personalized feel to it. Categorize Your Beauty Items. Apart from purchasing a vanity tray, clustering your beauty products will also help you in keeping everything organized. You can use foam and acrylic containers to create attractive dividers or counters inside your drawer. Also, categorizing your items will help you in determining what products to purge, purchase and stop buying. Stash Your Extras. Keep the extra products that you don’t usually use in makeup bags and wall nooks save some space in your dresser. Stash them based on their use (party makeup, work makeup) or by product for an easier search later on. Repurpose Old Items. Don’t have the budget to buy new makeup organizers? Then utilize the everyday objects in your home as your makeup organizer. Grab your old latte bowl, tiered trays, and stackable containers then turn them into an affordable and inspiring DIY beauty product organizer. Designate a Beauty Corner. If you have enough room space, then we suggest that you create a personalized beauty corner with a side chair and table. 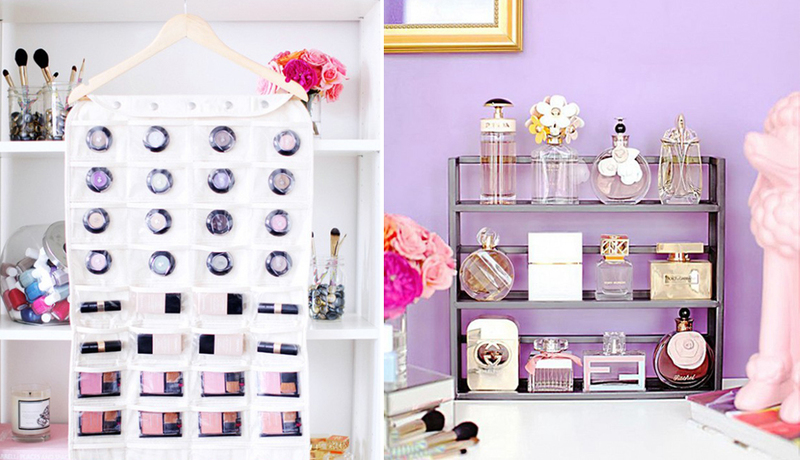 After that, arrange your products in small boxes and glass trays for a more organized beauty station. Organizing your beauty items is actually easy to do. All you’ve got to do is separate your daily essentials from those that you rarely use, and creatively organize them in your dresser or beauty station. 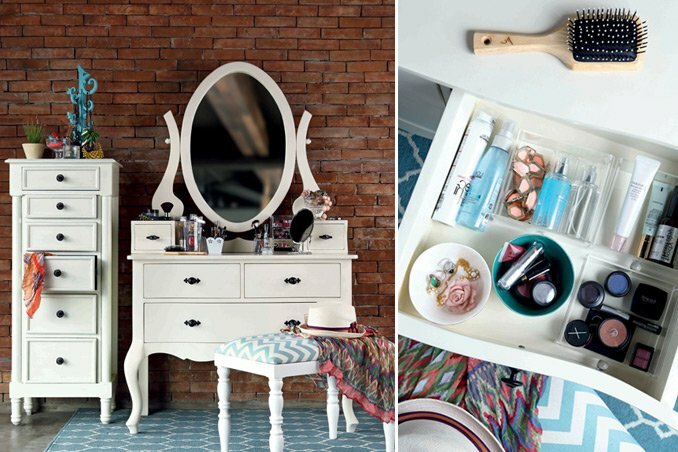 Now cheers to a clutter-free dresser, and more prep up time.